​Done Right Movers Scranton is one of the best moving companies in Scranton, Pennsylvania. We offer various services for people who wish to relocate wherever in Scranton PA and its nearby areas. Our services include packing, storage, long distance, commercial, and local moving, and many more. We specialize in helping business and property owners to move their goods, furniture, and other stuff throughout the city and northeastern Pennsylvania. This company provide inclusive services for relocation like unpacking, loading, unloading, and arranging of items. We also offer additional services such as storage and cleaning services for warehousing facilities, offices, and houses. ​Done Right Movers can accommodate all of your relocation needs. Whether you are relocating your business or moving to a new home, you can count on this company’s trained and skilled staff to take care of everything and keep you free from the stress that moving can bring. Our team of qualified and experienced professionals understand your requests and needs regarding the job. We know that no two businesses or households are the same. We have trained our staff to sit down with you and discuss your needs before working on the project. This helps in planning the move and ensuring that your preferences and standards will be met. Having years of experience, our professional crews perform the moving services smoothly. We work together efficiently. Each staff has been selected based on his or her capability and experience to work on a particular job. Done Right Moving Company only employs efficient and skilled people who know the importance of working in a team so that we can definitely deliver and perform organized and efficient moving services. We take relocation seriously because we understand that moving can be emotional and personal to our clients. We always ensure that our clients’ goods and possessions are transferred safely and are delivered intact and on time. We are trained to move unique, breakable, and precious items. Whether you want to bring with you your antique furniture, porcelain vases, or expensive wares and pieces of jewelry, you can be assured that our movers know how to handle such precious items. We have the equipment and can provide the proper packaging to handle and transport them safely. Being one of the best Scranton movers, Done Right Movers Scranton utilizes up-to-date moving innovations and owns top-quality equipment such as branded dollies, furniture sliders, hoisting straps, and pallet jacks. We have also invested in high-grade containers. Such holders provide greater flexibility than standard freight containers and ensure that your possessions are secured during transportation. ​Our company also provides our clients with cost-effective moving solutions. When reviewing various moving companies, you will see that Done Right Movers is the most customer-friendly in Scranton PA. If you choose us, our moving consultants will assess your move and will provide you with a quote that covers the time and cost of your move. You will see that our prices are cheap, fair, and reasonable compared to other service providers. When it is time to move, the staff of this company will provide you with an effective moving plan. We know that moving can be stressful to our clients, so we strive to relieve you from stress that such activity can bring. You can avail various services and resources from this company to make your move stress-free. The moving plan is designed to provide a personalized approach in moving your possessions, property, or business, whether the new location is located in the next town or just down the street. We have three tiers of packing options for you to choose from. From complete packing and unpacking to DIY packing using our materials, we provide every move with just the right packing solution. Moving and packing come hand in hand. It can be a bit overwhelming to sort and arrange your stuff and get everything in order when the moving date is near, so you may consider platinum packing service of Done Right Movers Scranton to handle the packaging of all of your possessions. Gold service packing is cheaper than the platinum service. If you choose gold service packing, the movers are not tasked to pack all of your stuff. But we will definitely help as much as you need them to. 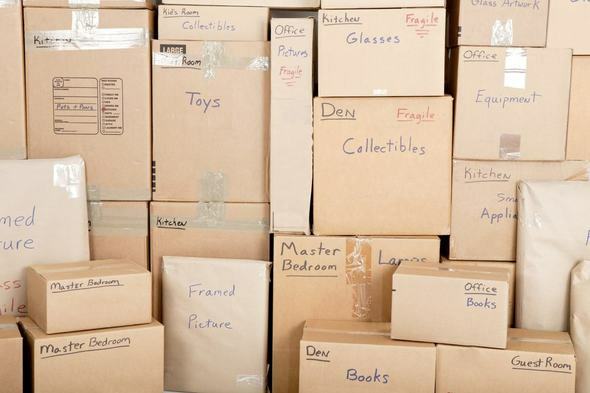 As we handle the packaging and move of large appliances and furniture from your property into the freight container, we will also efficiently package small things like books, medium and small-sized figurines, trinkets, and precious items. This is the cheapest packing option being offered by this company. If you choose silver service packing, you will be provided with all of the packing materials that you need in packing and packaging your stuff. The materials include bubble wraps, tape, boxes, etc. With this, you don’t have to worry about where to get containers and boxes for your belongings. Whether you want them to assist you in packing and packaging your stuff or you want to save money and perform the process all by yourself, Done Right Moving Company is here to assist you even before the actual moving day. We have expert movers that know the importance of the items being packaged and moved, so we handle them with great care. Once all of your belongings are packed and we are ready to be loaded into the container, the moving process begins. It starts with the loading process and ends with the unloading process or after everything is installed in your new home or office. 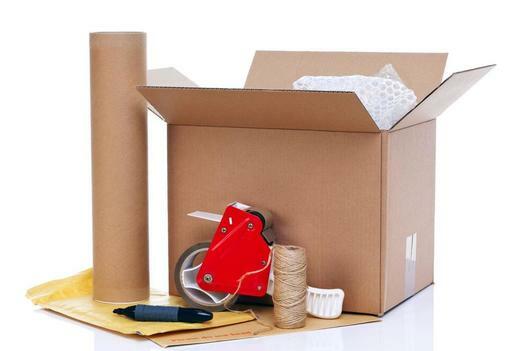 Similar to the packing services being offered, you can also opt to avail of additional services to make everything as smooth as possible or to choose the standard services that fit your budget. The first step involves labeling, packing, and inventorying. This step ensures that the final process will be executed efficiently and smoothly and that no important item will be left behind. The movers also systematically load the trucks to ensure safe transportation, enable efficient unloading, and maximize space. We also encourage our clients to oversee the process, and lastly, we review the inventory worksheet to make sure we have organized and have labeled the loading of our trucks according to the moving plan. Efficiency and safety are our top priorities. This is why our movers only use the best equipment for transporting your belongings. In addition, all of our drivers have the appropriate certification and licensing to perform the job. For long-distance moves, we utilize and incorporate GPS tracking in all of our trucks so that you can check the location of the vehicle that is transporting your possessions anytime. We are insured fully during the moving process, so you don’t have to worry about anything because your belongings are well covered. When your stuff arrives at your new location, the movers will unload and unpack your things or install your furniture and appliances. Based on your instruction, we will carefully put your furniture, appliances, and boxes in specified rooms. We will also re-assemble items that were taken apart during the packaging process like entertainment centers and bed frames. 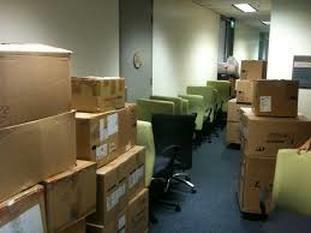 This company does not only focus on moving houses, but we also offer corporate relocation. We provide both international and national relocation services for you and your employees. We are well-experienced in handling such kind of move. We can efficiently handle reimbursements, billing processes, and corporate policies. 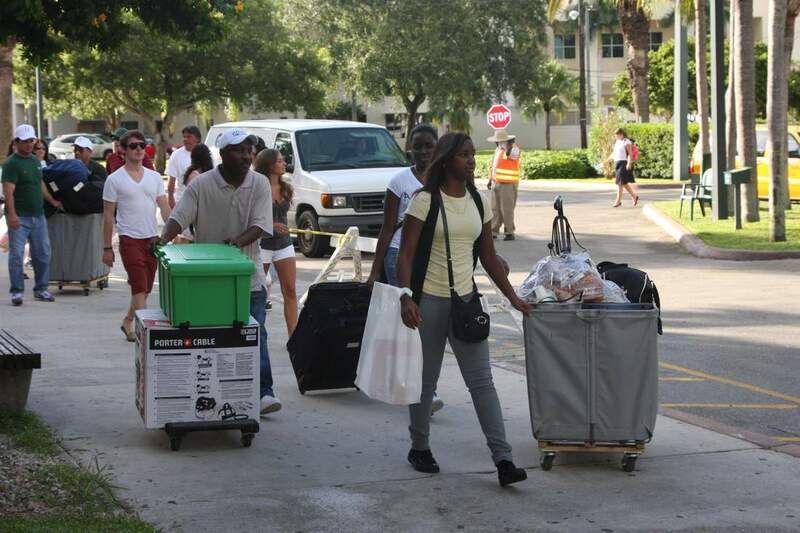 In most households, the moving day of college students involves the whole family, so in essence, it is a personal and emotional experience for the relatives who are involved. But if you or your child needs assistance, Done Right Movers can help you with school or college moving. This company knows how difficult college or school moving is. Our smaller-sized trucks can transport the belongings of your student in universities located in Scranton PA and in out-of-state schools. At your new office or home, the mover from Done Right Movers will your possessions and office furniture to where you want them to be. We carry boxes to the bedrooms, basement, garage, and kitchen as marked. We reassemble beds, unroll rugs, and place them in rooms. If you avail the unpacking service, the crew will unpack every cup, glass, spoon, and other trinkets, not just extra large items, and we will also place them to where you want them to be. This company also provide storage services for up to 365 days. We have propriety warehouses and an effective management system, so all of your possessions are safe in our facilities and are inventoried first before being put into storage. We offer both long term and short term storage, and we can accommodate Full Container Loads or FCL and Less Container Loads or LCL. For extra large items that need extra protection or items that do not fit in standard boxes, Done Right Movers provides skid packing and 2x4 crating. The same protection materials for standard packages are also utilized for structured packaging. The protective materials include shrink-wrap, bubble wrap, and padded blankets. If you think that Done Right Movers can only accommodate small packages, appliances, and furniture, you are wrong. We can also provide storage and moving solutions for vehicles and watercraft. Just mention your requirements for the storage and the transportation of your vehicle to our moving consultant, and he or she will include it in the quote. Done Right Moving is a professional moving company and one of the best movers Scranton PA. Whether it is a local or long distance move, we can provide all of the moving services that you need and that is under your budget. ​Being affordable and providing stress-free relocation is our mission. No job is too big, too complex, or too small for them since we are one of the most respected and highest rated moving companies Scranton PA. All of our staff are diligent, experienced, punctual, and dedicated to their jobs, as well as our equipment and tools. We are a professional moving company that provides full- service moves. We can facilitate your long distance or local move with just a phone call. We take pride in being one of the best Scranton moving companies in the entire state.